These brush sets were actually bought way way back. 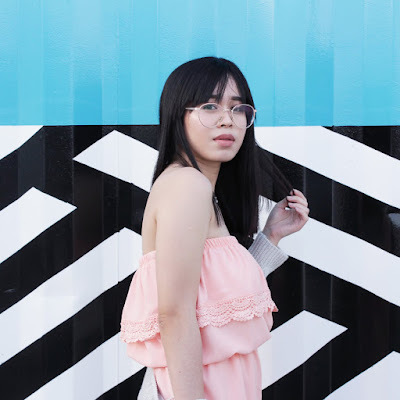 I saw them being sold by Be.You.Tiful shop at a pop-up bazaar in Glorietta. I knew they weren't the real thing but I still bagged these brush sets because they were in mint color. At that time my addiction with mint colours were at it's peak and somehow I wanted to fill my room with mint colours at that time.. Who knew it'd be a scavenger hunt to find items coloured in mint. Anyway, here are two of the brush sets snagged from Be.You.Tiful. 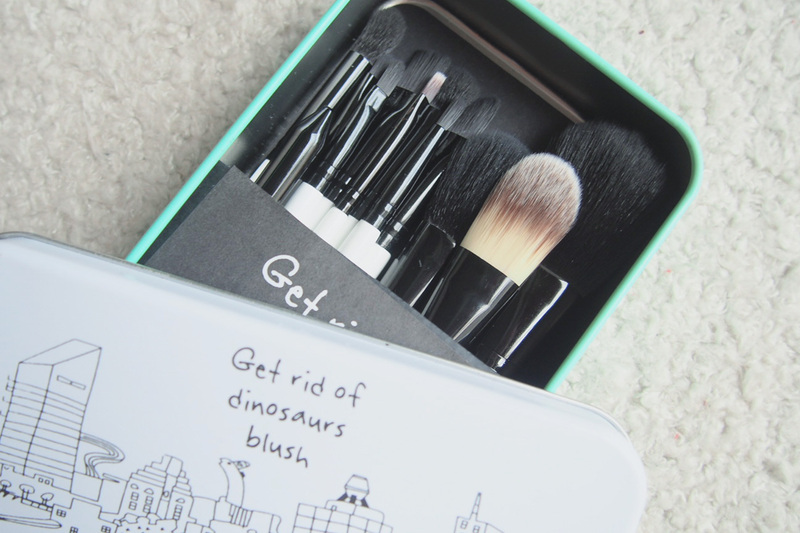 The brush set contains 12 pcs of brushes in tin can packaging.. I don't remember how much these brush sets cost but its definitely not higher than a thousand. 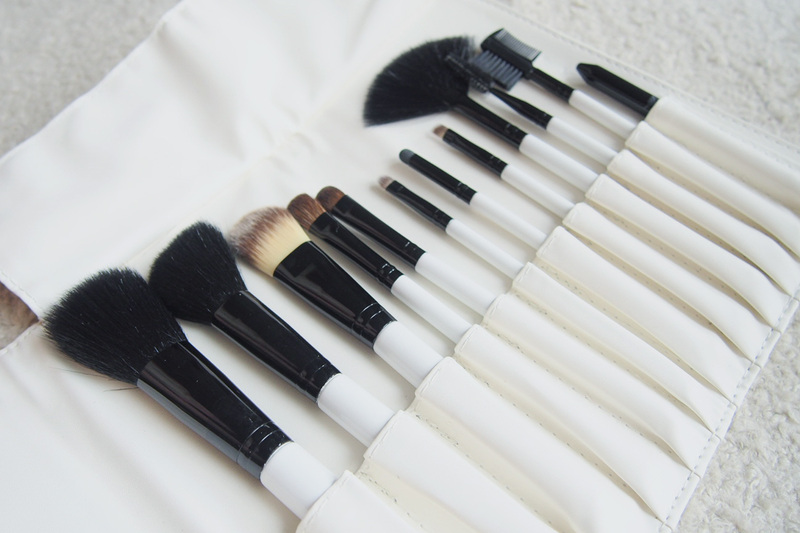 They remind of the 3CE brush sets, that I really want to own, saw one from Sephora.. if only it wasn't as expensive. I've also seen Hello Kitty, Doraemon, Naked 3, etc. versions of this rectangular tin can brush set. Tbh, I am no makeup expert/guru of some sort. 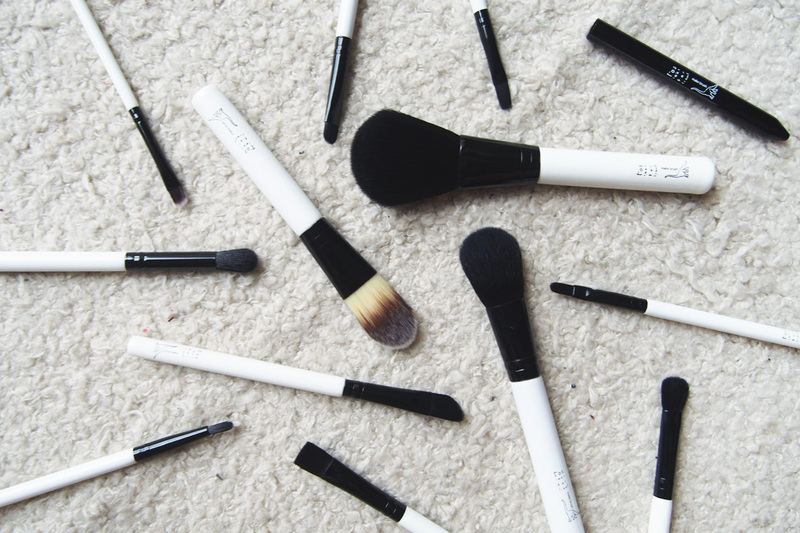 I don't even know how to use most of these brushes I bought. In fact, all those months I've had these two brush sets I've only used one.. and that is the angled liner brush. I'm not sure if it's more suitable to use for the brows but I prefer using them to line my eyes with gel eyeliner. Lol. Okay, moving on to the other roll/fold type pouch brush set that I kind of regret purchasing, feels like I don't really need another one yet. 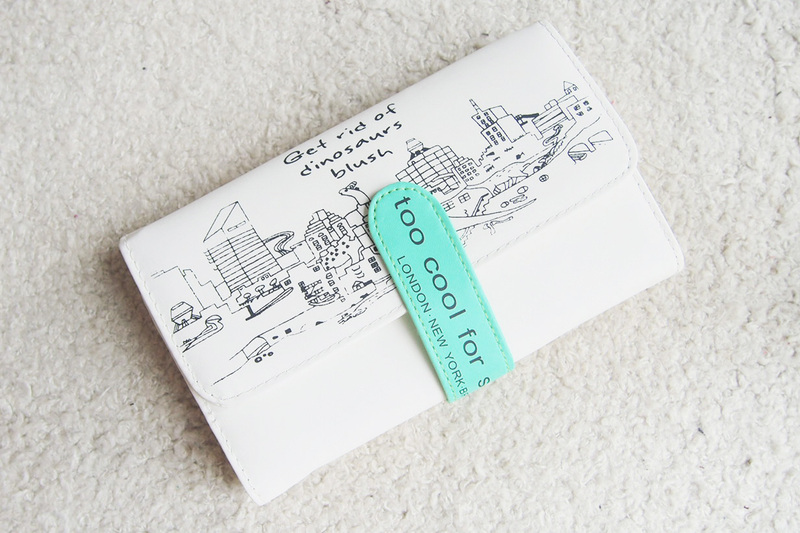 But of course I bought it because of the pop of mint strap of the pouch.. 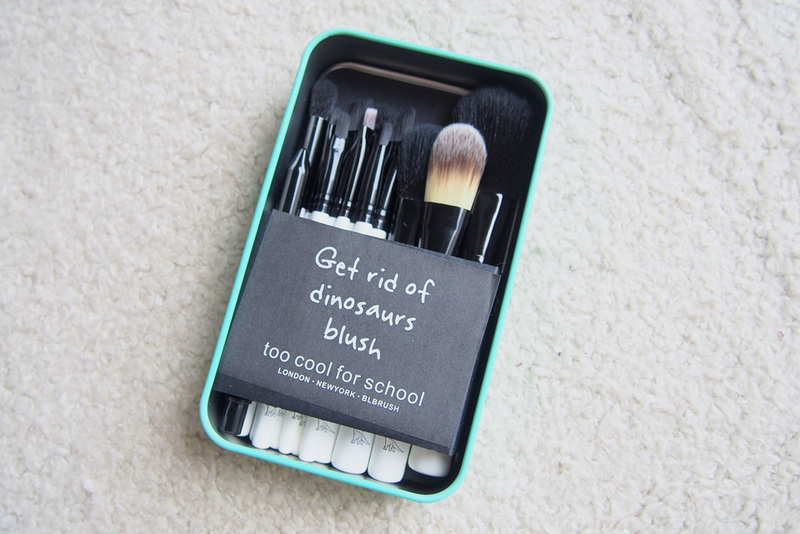 These brushes don't actually have any mint color in it, which is quite disappointing. Lol. The brushes were also a duplicate of some of the brushes from the tin can set. But the bright side is... it had some brush tools I need which isn't included on the kit earlier - Eyebrow Comb, Spoolie, Eyeliner Smudger & Fan. The kit earlier and this one both contains 12 pcs of brushes but 3 or 4 pieces are different from each other. I have to say, both are not travel-friendly/portable since the tin can is hard cased & quite bulky, while the pouch is quite big, and would take so much space, it's 6.5 inches x 4 inches approximate. But then I can always pick out the essentials and place them in a smaller pouch. Even though, these aren't products released by the brand Too Cool For School I'm still happy I got these. Yes, all because of the pop of mint in the packaging. I did wish the brushes itself had some tiny bit of mint color in it too but oh well. Haha. I've heard from a beauty & makeup Youtuber that for brushes, it's okay to use dupes but never on the actual makeup products - foundation, lipstick, creams, etc. 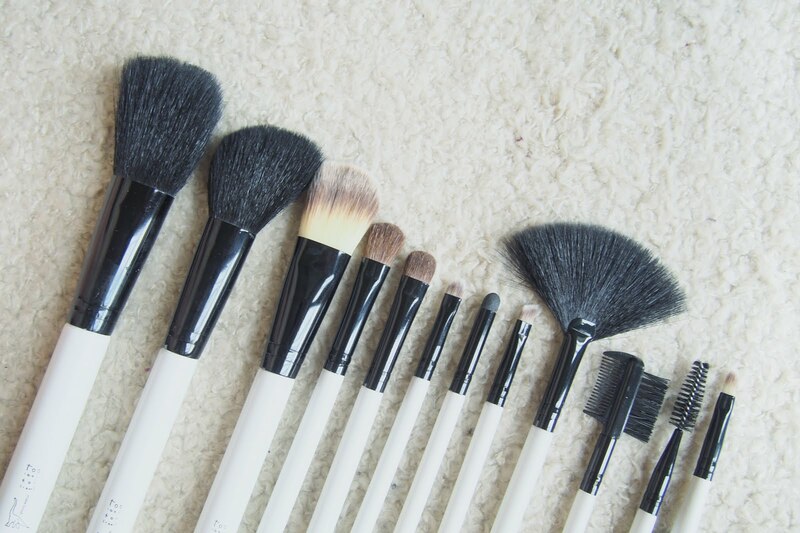 I hope I could master using these brushes someday. Haha. 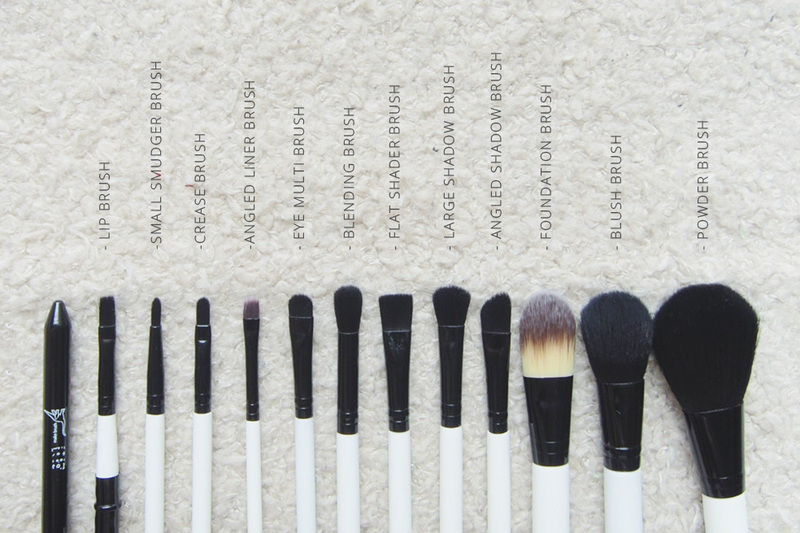 I guess the reason for this post is also for me to label the brushes and have a document, something to check back on as to what these brushes are particularly for. 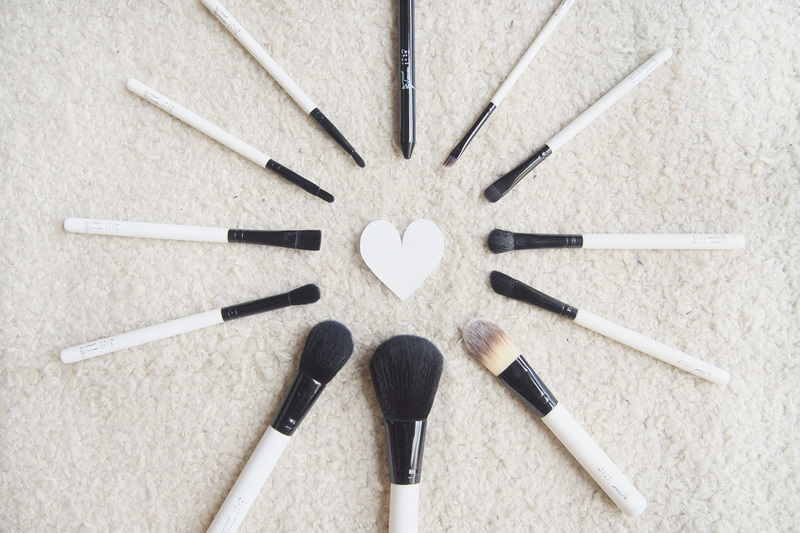 I know I can be adventurous with these brushes and use them wherever I want to but at least I know which brush is particularly for what and to know what it's called.